I’m working on shifting this blog’s focus to more of an encouraging, self-help site. My main target audience will be Christians who are interested in personal development, though the MBTI posts will stay accessible to a wider audience as well. Not much is going to change in terms of post content, at least for right now. I’ll still finish up my Classics Club list and I’ll continue blogging about Myers-Briggs types and Bible study topics. But I do want to start narrowing the focus a little. This new blog will feature in-depth analysis of Star Wars characters’ personality types. I’ll also be keeping a new version of my Star Wars MBTI Chart there, which will update as I continue to type new characters. The “costumes” part of the title comes from a hobby of mine that I haven’t really talked about before on this blog. 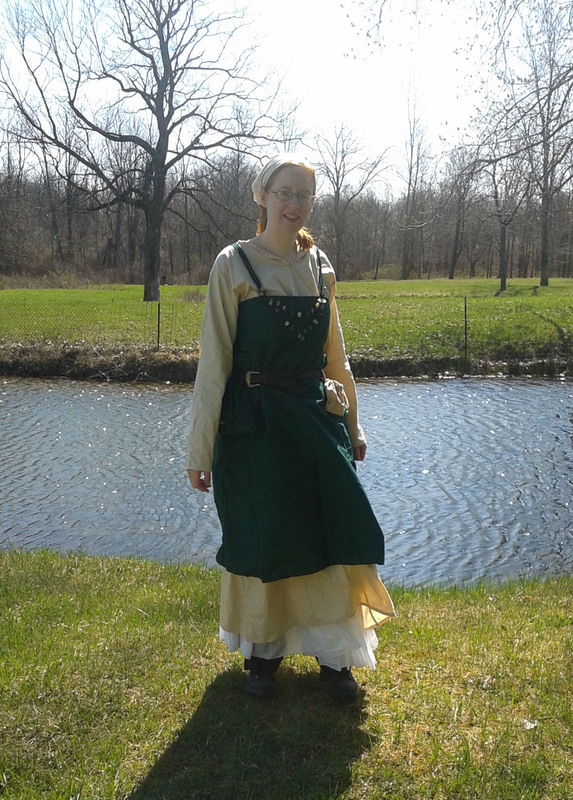 So far all the costumes I’ve created have been for Renaissance Faires, but I’m starting to turn that into a Star Wars-related hobby as well. My first project is the Queen’s Handmaiden Flame Gown from The Phantom Menace. There aren’t any tutorials or patterns available on this gown and I’m excited to tackle the challenge of figuring out the design. If you’re interested in Star Wars (or even just in seeing fictional examples of the different personality types), I’d really appreciate you checking out this new blog and clicking the “Follow” button. Thanks! Even five years after graduating with my English degree, I still describe myself as an “English major.” Do non-English majors do that? or do they all switch from “art major,” “accounting major,” or “biology major” to artist, accountant, and biologist? Maybe it’s because the English major can go so many different directions. Writer, teacher, editor, lawyer, journalist … the list goes on. So if you want to connect with other former English majors, you need to describe yourself as an English major. Whatever the reason, I still think of myself as an English major. And apparently, people I meet do as well. New acquaintances, and even people I’ve known for a while, make certain assumptions when they hear I’m a writer and my degree is in English. 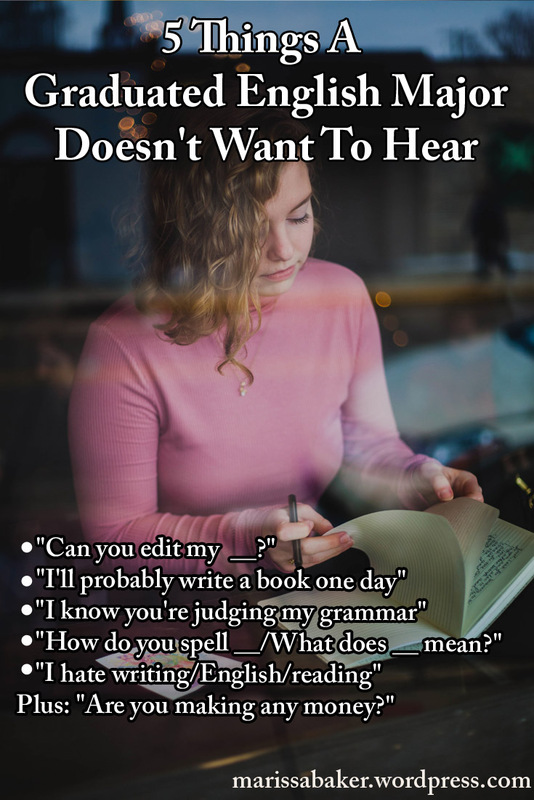 With those assumptions comes a few predictable questions and comments that I’m sure other graduated English majors are all too familiar with as well. I need to preface this section by telling all the friends who I have edited things for, “No, I’m not mad at you.” I’m perfectly happy to look over the new about page for your blog or proof-read your extremely important email. What I’m talking about is the larger editing projects. I am a professional writer. That’s how I make money. Just because I like writing doesn’t mean I can do it for free all the time. If someone wants me to read every post on their blog before it goes live, or proof-read their new e-book, or edit a story or novel, we need to talk about compensating my time. Maybe we trade critiques, or you use your website to market my e-book, or maybe it’s a per-post editing fee. You wouldn’t ask your friend who’s a dentist to clean your teeth for free, or your friend who runs a farm to give away their produce because you’re buddies, or an accountant to do your taxes in their spare time. Ask us for an occasional favor, but don’t put your English major friend in the uncomfortable position of explaining they don’t work for free. Yes, tell me how you’ll just pop out a book some day when you have a little extra time. Go ahead and imply writing is easy or something anyone can do if they cared to bother. I dare you. Because the next person who catches me in a bad mood when they say this is going to get a lecture on how much work it actually involves to draft, edit and re-edit a manuscript, then find good beta readers, edit again, and finally decide it’s ready to publish. And then if they haven’t run off yet they’ll get to hear about how the publishing industry actually works. I do think people should make an effort to use good grammar, especially in something they publish, and I am a word nerd. But I don’t just sit around judging and resenting my friends for not proof-reading their Facebook message dozens of times before having the audacity to send it. Am I really such a scary grammar Nazi that you feel the need to make jokes about your terrible writing before communicating with me? That just seems weird. I love words. But I’m not a walking dictionary. This question feels good when I know the answer, but when I don’t it’s usually followed up by some variation of, “So what’s your English degree good for?” *facepalm* Apparently I have failed in my life calling. Here, why don’t I Google the answer for you using a mobile device like the one you’re currently holding in your hand? 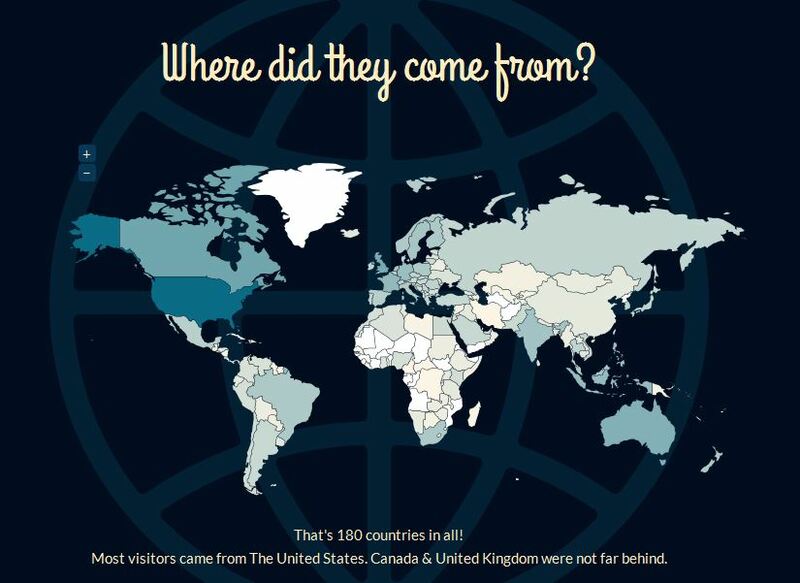 … and we have nothing in common. I spent four years of my life reading and writing things in the English language, and most graduated English majors are still doing that at least to a certain extent. But the main reason I don’t like hearing this comment is because it instantly shuts-down avenues of connection. I don’t care so much about the fact that you don’t enjoy these things. What I care about is that you’re basically telling me not to talk about my career because you didn’t like that subject in school. Nobody likes to be told their passions have no value. Regardless of what your conversation partner majored in or does for a living, it’s generally not a good idea to tell them you hate it. Much better to say something like, “Wow, that’s cool. I have no talent for it. Can you tell me more about why you enjoy it so much?” Now we’re having a conversation. Or any related questions including “Do you still live with your parents?” or “Do you have a real yet job?” That’s just not any of your business, especially from new acquaintances. I’ll tell you about my living situation and finances if and when I want. 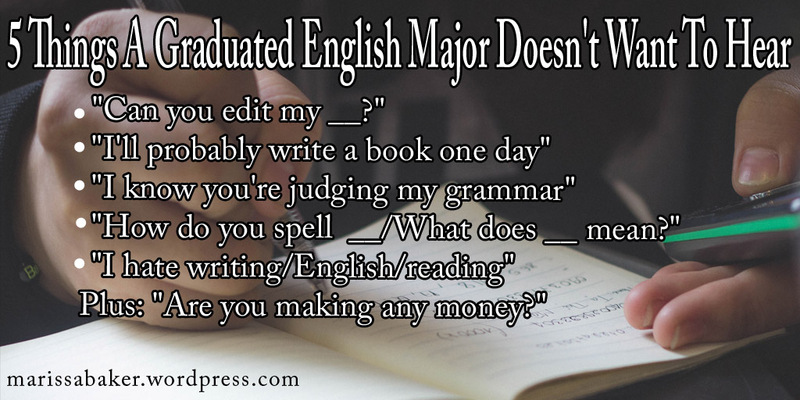 My fellow English majors, what are your other pre- or post-graduation pet peeves? Any questions or comments you’re tired of hearing? 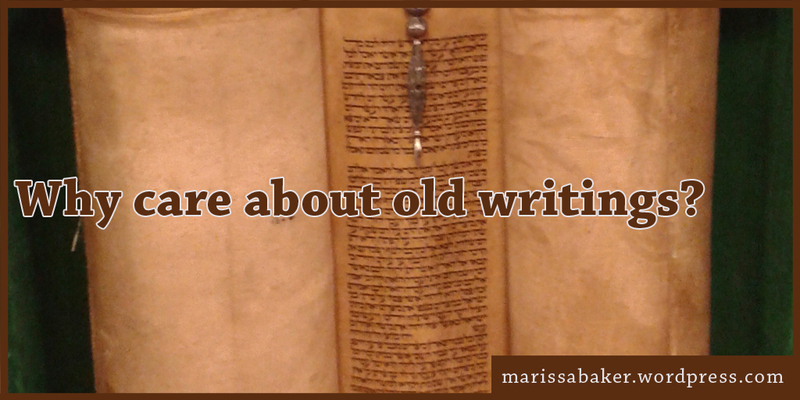 Why do we care about old writings? A few years ago when I was in college, one of my professors organized a small group of interested students and took us up to the Cleveland art museum. The purpose of our visit, a touring exhibit of religious artifacts from medieval Europe, was interesting, but that wasn’t what lured me there. 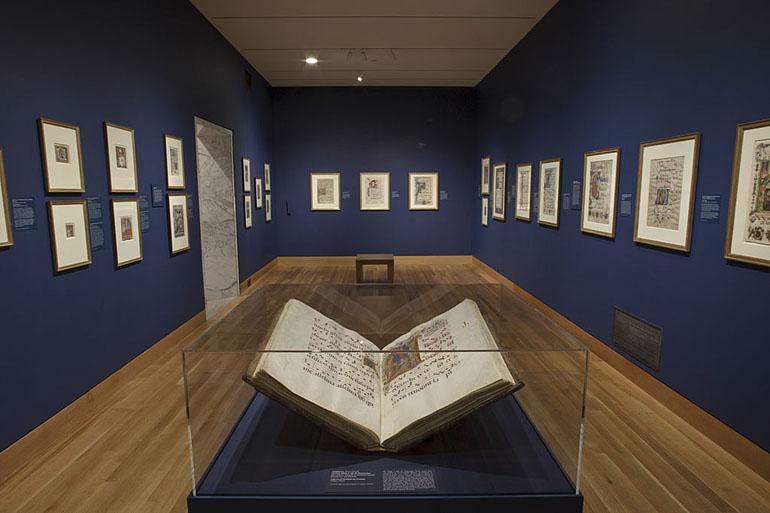 It was the museum’s permanent collection of illuminated manuscripts. These manuscripts date from the Middle Ages. Every page was carefully copied by hand, and they didn’t just stop there. Illuminating a manuscript with (real) gold, silver, and bright colors in illustrations and elaborate first letters turned them into works of art. The sort of books you took the time to create like this were held in high value (many are religious texts). It’s no secret I love books. But most of the books on my shelves are, in the strictest sense, disposable and replaceable. They were impersonally mass-printed in a factory. Any meaning that particular copy has is unique to me. But for the handwritten manuscripts each copy is unique. They’re irreplaceable. And they were created with love. That’s also true of the ancient writings I saw yesterday. The Ancient Hebrew Scroll Project is one of only 2 or 3 complete sets of the Tanakh (Old Testament), and it’s the only one you’ll ever have a chance to see. It tours in public and there’s never any admission fee. 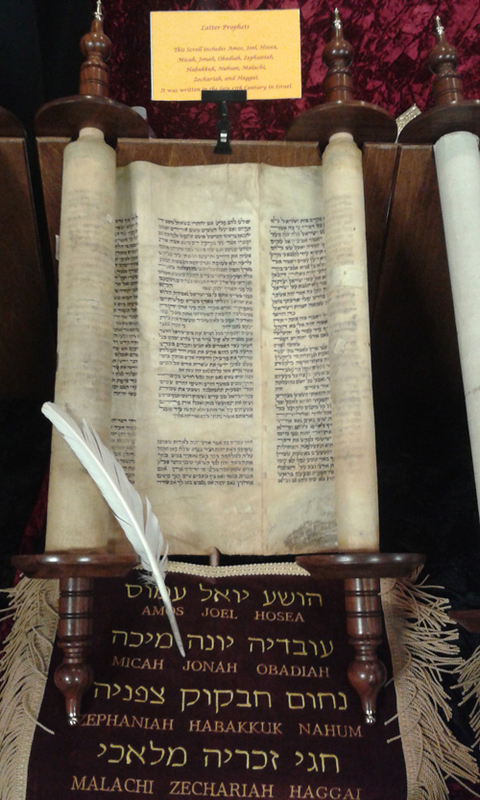 The oldest scroll is a 600 year old Torah. Others are around 250 years old, with the exception of some scrolls too rare to obtain old copies (those are newly commissioned). Several survived the Holocaust, including a Haftorah that was bayoneted six times by Nazis. Every single Bible scroll, the new and the old, was created the same way. Two Levites stand holding a completed scroll open before a scribe. The scribe reads one word aloud, then writes it using a pen made from a turkey feather dipped in ink made from gall nuts, gum-Arabic, and ash. He does this for every single word with the exception of the YHWH name of God. For this word, he will not speak it aloud and before writing it he washes his hands and takes up a pen only used to write the Name. Once the scroll is finished, the scribe counts every letter to make sure it adds up to the correct number for that scroll. If it passes that test, he gives it to another scribe for re-counting, spell-checking, and format inspection. If that scribe gives it the go-ahead, it’s given to another scribe. 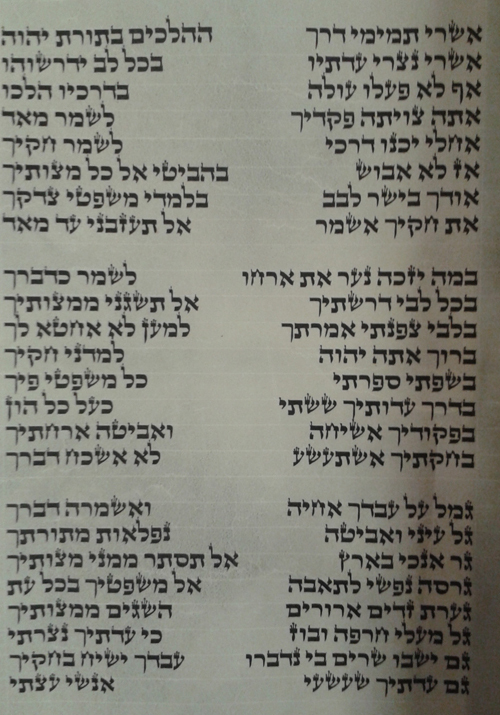 Only after two scribes double-check the first scribe’s work is the scroll kosher. “So what?” some people ask. Who cares about hand-writing things like this in the age of computers? And yet this is how the Bible was preserved intact and unchanged for thousands of years. It’s the only way any writing from pre-1440 got passed down to us. There’s something about the process itself that lends meaning to the books and scrolls created with such careful attention. New, fast, and disposable isn’t always better. There’s value in taking time to pour love and great care into something that will last. That’s one of the lessons the old writings teach us. They give us a chance to stop and ponder what we value. Something preserved in this way has to matter or it’s not worth taking the time. If there were no computers or printing presses any more, which writings would you value highly enough to copy by hand letter by letter so nothing was lost? It’s about 4:30 in the afternoon Sunday as I write this. Usually by this time I’m either proof-reading a completed post for Monday or wrapping-up my work on a finished idea. What’s worse, I don’t even I care that haven’t written a post yet. I mean, I’d probably care tomorrow when I wake up and realize I failed all of you readers, but at this point I’ve had too little sleep and too much Netflix to function as my normal self. Well, perhaps not entirely. At least I’m writing about not wanting to write. It’s a start. I’ve been writing professionally long enough to know you can’t just sit around waiting for inspiration to strike if you want to get a blog post, article, story or book written. People who do that aren’t writers. 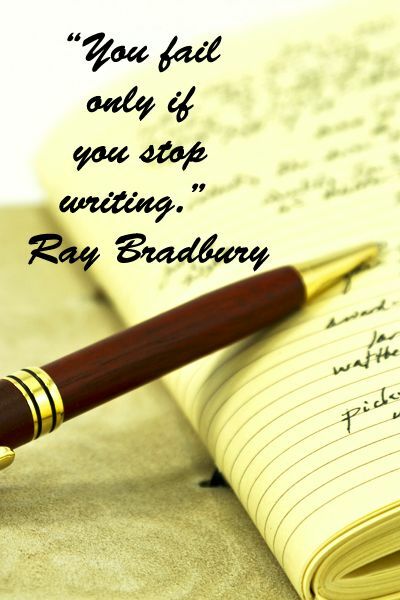 If you aren’t a writer you can get away with not writing when you don’t want to. Hobbies and pastimes are voluntary. But when writing is what you do you don’t just stop. 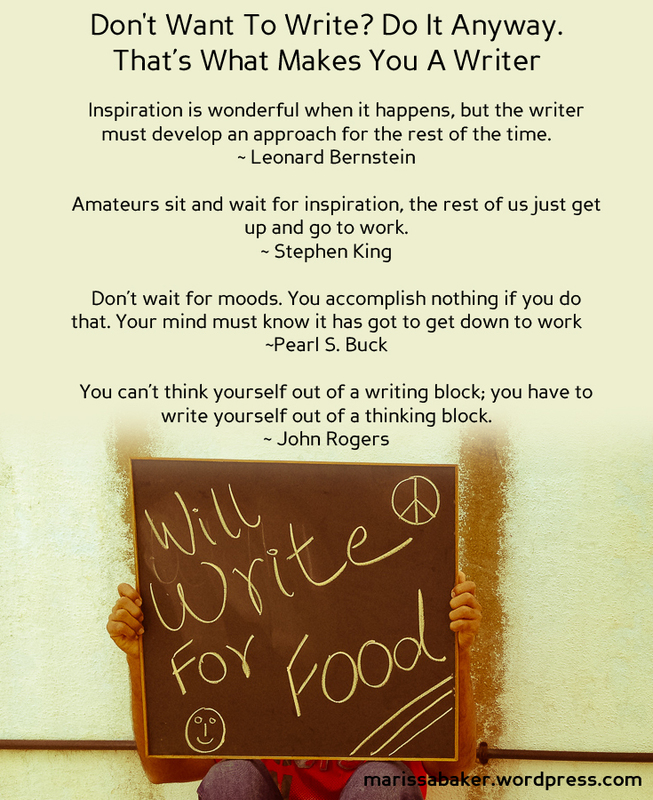 In fact, if you’re doing things right, most of the time it feels like you can’t stop writing. For writers, not-writing should feel stranger than writing. There’s a myth out there that writing is easy (“Oh, so you’re a writer? That’s cool. I might write a novel in my spare time some day”). It’s not. Yes, there will be days when the words flow out and you’re convinced what you’re writing is pure genius and you just know these words have the power to touch people’s souls. But mostly you have to sit down everyday with your pen or your laptop or your typewriter and make the words move from brain to fingers. Struggling to write is perfectly okay just so long as you don’t give up. I suppose it’s that way with most things, actually. Anything worth doing is going to be hard at some point. What’s important is that we don’t stop, at least not for long. By all means take a break, eat a little chocolate and watch some anime (my sister hooked me on Fullmetal Alchemist Brotherhood), but don’t stay there. Thank you to all my lovely followers and visitors. I’m so blessed with all of your warmth, encouragement and support. 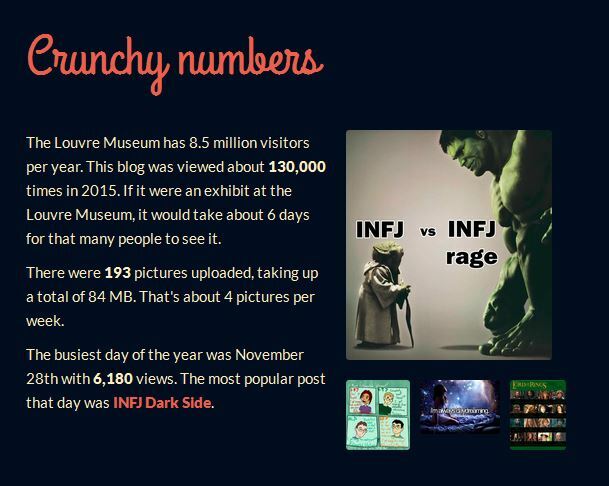 You’re the reason 2015 was my best blogging year so far.